It's time to show off some fabulous HC stuff with you all. Today I am using one of the very elaborate stamps from our April release called Celebrate the Journey! Start with a A4 size white card base measuring 7.25”X6” and ink lightly around the edges with weathered wood distress ink. Cut 3 nesting pieces of pattern paper from the Celebrate the Journey paper collection keeping a 1 cm margin. Distress the edges. Adhere the pattern papers together and sew around the edges randomly. On another piece of white card stock, stamp the image from the “Floral Dress Collage” stamp in black ink. 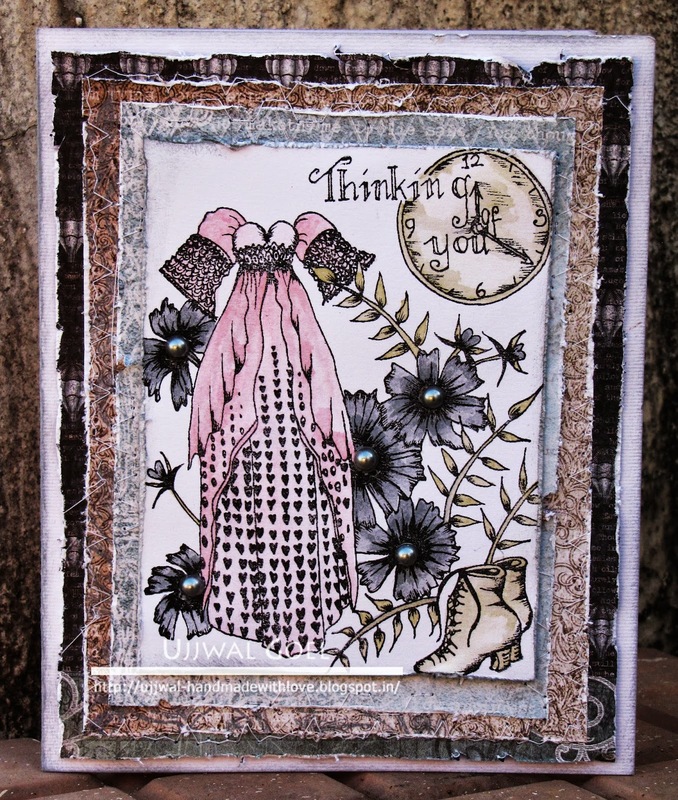 Colour the stamped image using water brush and distress inks. Distress and ink around the panel. Add pearls to the centre of the flowers Assemble all the pieces as shown. .
Beautiful coloring and distressing! Love it! The distressing on this card is stunning Ujjwal! Such a gorgeous design and I love the colors of your flowers.